Ruskin To-day – Ruskin Today is an informal network devoted to promoting wider knowledge and understanding of the ideas of the great Victorian writer, reformer and artist, John Ruskin (1819-1900). Ruskin To-Day is an informal network devoted to promoting wider knowledge and understanding of the ideas of the great Victorian writer, reformer and artist, John Ruskin (1819–1900). 2019 sees the bicentenary of Ruskin’s birth on 8th February, 1819. This site has been set up to provide as much information as possible about Ruskin-related events that are taking place between now and the close of 2019. There is a calendar of events that will be updated regularly, and a map that will help you find events near you. The Ruskin To-Day website congratulates Dr Rachel Dickenson on her election as the fifteenth Master of the Guild of St George. She will succeed Clive Wilmer on 16 November 2019, following confirmation by Companions of the Guild of St Guild at their annual general meeting. Clive Wilmer has given ten years of outstanding service as Master of the Guild. Abstracts of 300-500 words are to be sent to ruskin2019venezia@unive.it. They can be submitted in English, French, German or Italian. Deadline for submission 28 February 2019. More details from and all enquiries to ruskin2019venezia@unive.it. Call for papers: “Celebrating Imperfection: John Ruskin and the Creative Arts in the 21st Century”. The conference will take place on Friday 17 May, 2019 at the School of Art, Birmingham City University. Please send abstracts of 300 words plus a 100-word biography to Serena Trowbridge (serena.trowbridge@bcu.ac.uk) by 8 April 2019. This rare 15” bronze statuette of Ruskin was made by the American civic sculptor Gutzon Borglum (of Mount Rushmore Monument fame) after an 1897 visit to Ruskin at his Brantwood estate. Borglum called Ruskin “the most marvelous, magnificent, unappreciated genius the world has ever known.” The statue shows an aged Ruskin, seated, enfolded in a blanket, near the end of his life (Ruskin died in 1900). On his return to America in 1903, Borglum, who until that time had been principally known as a painter, modeled his statue of Ruskin for the 1904 World’s Fair in St. Louis. The Metropolitan Museum of Art acquired a cast of the statue in 1906 and the Detroit Institute of Art added a cast to its collection in 1919. It appears that Borglum had six statuettes cast by Gorham in this first edition, most of which are now in private hands. There is some uncertainty about the number of casts, and there are later editions (e.g., Roman Bronze Works, also 1903). The exhibition will include a lecture on the Borglum statue by Ruskin Art Club executive director, Gabriel Meyer. Mr. Meyer’s remarks will also include a brief survey of Ruskin’s impact on American art and social movements at the turn of the 20th century. A reception will follow the lecture and discussion. The event is free and open to the public. To RSVP, email us at: info@ruskinartclub.com. How do the ideas of John Ruskin anticipate and intersect with Steampunk subcultures? Defined by Jeff Vandermeer as ‘a grafting of Victorian aesthetic and punk rock attitude onto various forms of science-fiction culture,’ Steampunk is more often associated with the literary legacies of H.G. Wells, Jules Verne and Edgar Allan Poe. Yet this idiosyncratic contemporary mode of narrative, art, dress and music also has deep affinities with Ruskin’s critique of the ethics and aesthetics of consumer culture. Ruskin’s alternative vision to industrial capitalism is one of liberating creativity. It is both utopian and rooted in the everyday and anticipates the rich complexity of Steampunk. This seminar series, organised with Prof Catherine Spooner and Dr Andrew Tate (Department of English Literature & Creative Writing, Lancaster University) will explore ways in which Ruskin and Steampunk share a radicalism that has been forgotten and, on occasion, made safe and easy to consume. In Ruskin, it seeks an inspiration for the radical ‘DIY’ practices of the artists and makers of contemporary Steampunk, and thus a critical voice that is still of vital relevance today. In Steampunk, it seeks an heir to a nineteenth-century intellectual tradition, but also a diverse range of critical voices that can speak back to and critique that tradition, opening it up to new directions. Ruskin and Steampunk: Recovering Radicalism places its two subjects in conversation, allowing points of synergy and tension to emerge, illuminating both in the process. Addressing themes such as political commitment, embodiment and the environment, it draws on Ruskin’s spirit of social and imaginative transformation in order to envisage radical alternative futures. A display of pots from the Mingei (folk crafts) tradition and its Ruskin connections featuring work by Ogata Kenzan, Shoji Hamada, Bernard Leech, Tomoo Hamada, Edward Hughes and Miles Martin Moore. School of Art, Birmingham City University. 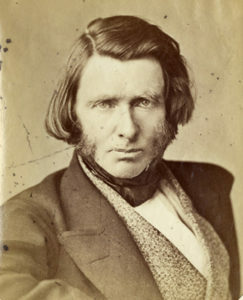 Ruskin’s engagement with the creative arts, including fine art, architecture and writing, has led him to become one of the most influential figures of the nineteenth century. His significance endures today, and to celebrate his work and continuing importance in creative work in the 21st century 200 years after his birth, MIVSS and Birmingham City University with the support of BAVS present a one-day interdisciplinary conference aimed at researchers including post-graduates in all disciplines. The event will include keynote addresses from Dr Colin Trodd (Manchester) and Professor Sandra Kemp (Director, Ruskin Library Lancaster), a range of panels, a workshop on teaching Ruskin, an opportunity to examine early Birmingham School of Art work inspired by Ruskin, and a ‘re-reading group’, which will encourage discussion and close reading. An exhibition of student art work inspired by Ruskin will also be on display, and the event will close with a drinks reception and poetry reading in the exhibition space. The Portcullis Trust welcomes FT Andrew Hill to talk about Ruskinland – his latest book on the eminant Art Historian John Ruskin. When Andrew Hill discovered Ruskin’s social criticism in 2009, he immediately saw the parallels with the debate raging about the causes and consequences of the financial crisis and wrote in the Financial Times about the lessons found in Ruskin’s work. In Ruskinland, he builds on Ruskin’s pin-sharp appreciation of art and architecture, his extraordinary draughtsmanship, and his insistence that to see and draw the world is the best way to understand it better. This vision has new relevance in the age of YouTube and Instagram, while Ruskin’s radical ideas have fresh relevance to how we run our lives, our governments, our museums, our galleries and our companies. Andrew Hill is an Associate Editor and Management Editor of the Financial Times. He writes a weekly column on business, strategy and leadership, as well as contributing longer features, videos and podcasts and appearing regularly at conferences and on panels. He was named Business Commentator of the Year 2016 in the Editorial Intelligence Comment Awards. He is also the author of Leadership in the Headlines (2016).